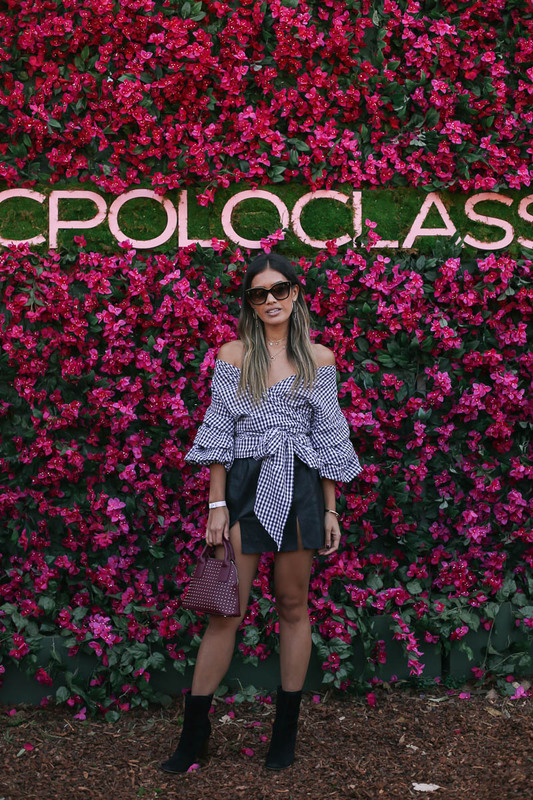 This past Saturday I was lucky enough to attend my first Veuve Clicquot Polo Classic here in Los Angeles with Sole Society. I've always wanted to go because it involves everything I love- cocktails, getting dressed up, and spending the day outside. It's a win for everyone. Before the festivities began, myself and the rest of the Sole Society crew got dolled up at the Pali House in Santa Monica. It was fun to see how each of the girls styled our different Sole Society and 1State pieces. I went for my usual little black boots, black faux leather skirt, gold charms, and my new weakness which is handbags of the red variety. As expected, the day was amazing! I love meeting and getting to know new ladies. It's always such a pleasure to be surrounded by inspiring, hard working women that are so beautiful inside and out. We spent most of the day frolicking the fields, admiring the surroundings, and making sure our glasses were always topped off. You really can't beat California in October, hashtag spoiled. It's safe to say that this will definitely become a yearly tradition. Maybe next year I'll be less distracted enough to join in on the divot stomping. A huge thank you to Sole Society and Rewardstyle for having me! 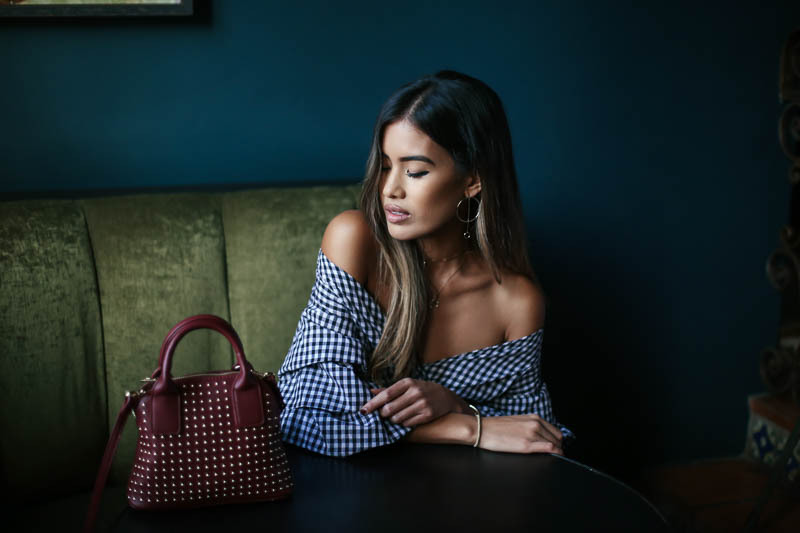 Your outfit is absolutely gorgeous! I love Sole Society n those boots are EVERYTHING!! Cute 'fit! Gurl this is so supa eleganza. Slayyyy. Great look! I love the shirt!! those pink trees look like something out of Dr Suess. There is no one that is sexier than you. 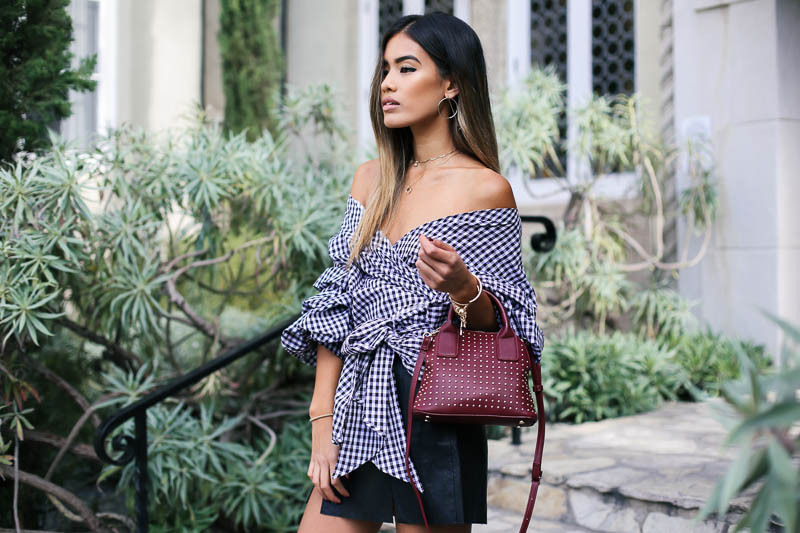 Love your off the shoulder blouse. I love that top, have you just styled a normal shirt that way? It's super cute! Girl these photos are absolutely beautiful! So in love with this outfit.